Leadership is well acknowledged as a critical component of lean success, but what does that mean? First, there is a huge gap in definitions for buy-in, support, and engagement. There are many leaders who support lean, but are they truly engaged? You know you have this gap when leaders think they are doing the right thing, but many of the lean-minded employees disagree. Once you have leaders willing to engage, they begin with good intentions, but they do not back that up with a system to drive their engagement. They know that leaders should have respect for people, but don't have a system to operationalize that belief. They know that leaders should be good role models, but don't have a system to operationalize that intention. They know that leaders should be learners, but don't have a system to operationalize that practice. Systems are always more effective than intentions. This keynote will help you explore key leadership beliefs that are effective to engage in a lean transformation, important leadership practices that help bring those beliefs to life, and how to build a system of work around those practices to improve your chances of success. 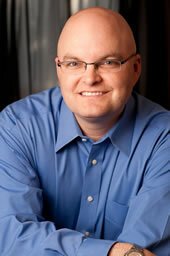 Jamie Flinchbaugh is a lean advisor, speaker, and author. In addition to co-founding the Lean Learning Center, he has helped build nearly 20 companies as either a co-founder, board member, advisor, or angel investor. These companies range from high-performance motorcycles to SaaS tools for continuous improvement. He has advised over 300 companies around the world in leantransformation, including Intel, Harley-Davidson, Crayola, BMW, and Amazon. Jamie co-authored the popular book The Hitchhiker’s Guide to Lean, and continues to share his experiences as a Contributing Editor for IndustryWeek and as a blogger at JamieFlinchbaugh.com. He holds degrees from Lehigh University, University of Michigan, and MIT, and continues to teach and mentor on campus. Jamie is best known for helping to transform how we think about lean from a tools-centric model to one based on principles and behaviors. His passion for lean transformation comes from seeking to unlock the great potential that people possess to build inspiring organizations.